Be part of the Design/Construction Community's Joint NC Legislative Day on April 30 in Raleigh. Join our industry allies from across North Carolina - AIA, CACG & PENC to show our strength during NC Day at the State House. This event gives us the opportunity to unite with our strategic partners and collectively voice our concerns with Legislators face-to-face. The day will start out at the AIA NC Center for Architecture & Design with a review of current industry legislation and a briefing on our state's infrastructure needs. 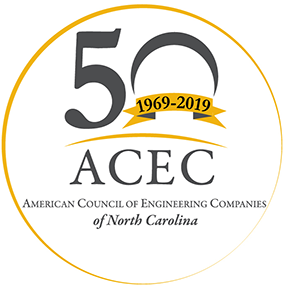 After lunch, you will join fellow ACEC/NC members for an afternoon at the Legislative Complex where you will have an opportunity to engage with members of the General Assembly. That evening, join Carolinas AGC for a networking reception to mingle with local industry professionals and invited guests. More details to come for this registration. Legislative Day is free for all ACEC/NC Members, we just ask that you register in advance. The day's event and lunch is complimentary for our members. Please register as we need an accurate head count.